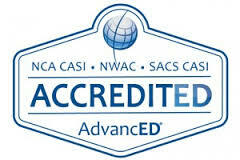 enCompass Academy was accredited in the spring of 2013 prior to its rebrand. The report highlights the strengths and concerns for Rainshadow Community Charter High School. enCompass completed its follow-up response this past winter, and looks forward to the name change reflected in our accreditation documents. For additional information as to the original accreditation, click on the link.